GREENFIELD, Ind., Jan. 15, 2019 — Entrepreneurs, innovators and remote employees looking for a state-of-the-art co-working space with plenty of indoor facilities and outdoor acreage, have a new resource in Hancock County. Idea Co-op powered by NineStar Connect, a collaborative idea and technology co-working center located on 36 acres in Greenfield, has opened and already is hosting tenants and events. Idea Co-op also includes free Gigabit Internet service for members, and offers co-location facilities for an additional fee. Internet and co-location services are provided by NineStar Connect. Idea Co-op memberships start at just $75 a month. In addition, Idea Co-op is a member of the Indiana CoWorking Passport program, which allows any member of nearly 50 co-working spaces in Indiana to work at a participating location one day a month for free. VanCoe Ag Technologies LLC, an agronomy and animal agtech integrator, was one of the first companies to move to Idea Co-op in September 2018 and plans use the tillable land to demonstrate an end-to-end integrated approach with next-generation technologies for agronomy and animal production. VanCoe plans to install a subsurface nutrient delivery system that allows for exponential improvement in sustainable crop production and cost reduction. “Idea Co-op is unique in the region’s co-working spaces because it has over 26 acres of tillable land with second-to-none training facilities. These facilities can be used as a regional training and support center for the development and demonstration of innovative Agtech solutions, utility technologies and hands-on training and support that require large outdoor spaces and storage buildings,” said John Mascoe, president and founder of VanCoe Ag Technologies. 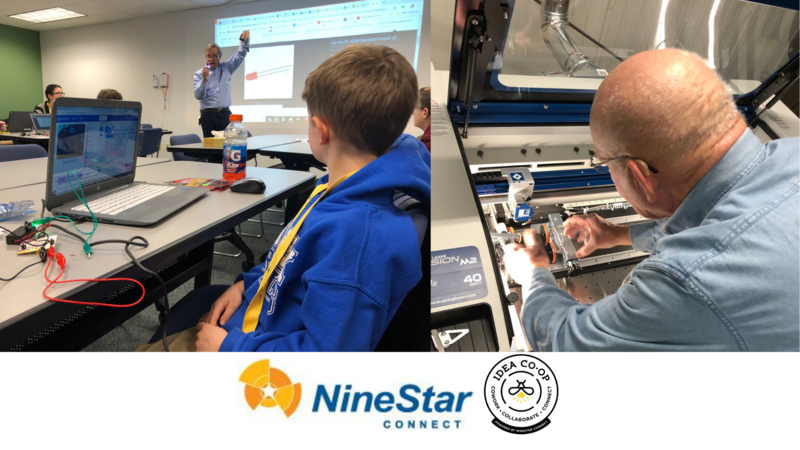 Idea Co-op was built and funded by NineStar Connect as a way to attract and retain technical talent and spur economic development in Hancock County. The facility was designed using local resources and tradesmen and includes reclaimed wood from area barns, local artwork, and furniture built by area artisans. In addition to memberships, there are sponsorship opportunities that include marketing and naming rights, starting at just $500 per year. For more information on membership and sponsorship opportunities at Idea Co-op, please visit www.idea.coop. NineStar Connect is a smart utility located in Hancock County, Ind. The only rural co-op in the United States to offer fiber optic, electricity, water and sewer services, NineStar Connect’s mission is to deliver the utility infrastructure needed to drive economic development and growth for rural communities. More information is available at www.ninestarconnect.com.